The Last Door: Collector’s Edition is a retro-styled horror game developed by The Game Kitchen (Rotor’scope: The Secret of the Endless Energy, and Dungeon Defiler) and published by Phoenix Online Publishing (Cognition, Moebius, the upcoming Quest for Infamy, Face Noir, Gabriel Knight 20th Anniversary, Lost Civilization, and The Silver Lining). The game was originally released in four separate episodes for free, but this collector’s edition has been updated with new graphics and audio, a full orchestral soundtrack, four minisodes, and achievements. 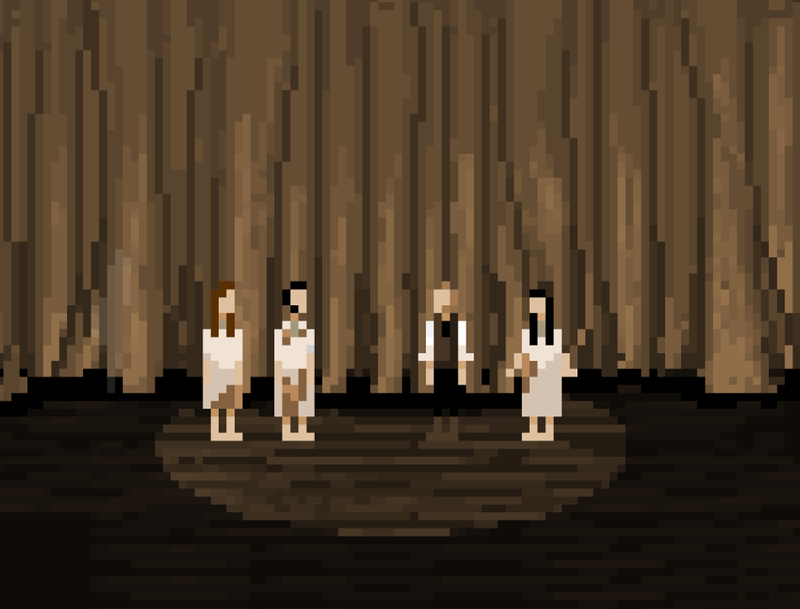 The Last Door also had a successful Kickstarter campaign in December 2012, which you can see here. The game consists of four short episodes and four even shorter minisodes, the latter of which are tiny scenes that flesh out the game’s main story. The plot begins simply enough – investigate your friend’s letter – but the creepy, occult elements soon come in, and you’re compelled to figure out what exactly is going on. Some parts of it are fuzzy, and the fourth episode ends quite abruptly; when I went into the game, I didn’t know that a second season of episodes was planned. The writing is generally great, with only a few bits of awkward phrasing. The game is not for those who are easily affected by disturbing imagery or sounds, including (but not limited to) hanging, blood, and scary masks. There are also jump scares throughout. I wasn’t expecting this extreme level of creepiness to the game going in, but it’s definitely there; don’t let the retro-style graphics fool you. I had a lot of NOPE NOPE NOPE moments. There are sixteen Steam achievements, nine of which I’d unlocked by the time I completed the game. It took me 2.8 hours total to finish The Last Door, including the minisodes. The graphics are extremely retro-styled and pixelated, but I never felt like that was a bad thing. I was still able to distinguish things that could be picked up from the background, even though they might not have exactly looked like anything (keys being one or two pixels, for example). The graphics also sometimes contribute to the creepiness, because you can’t distinguish facial features. The game’s environmental and character art are both very good, and even though you can’t see people’s faces, you’re able to tell them apart by their clothes and hair well enough. The soundtrack, newly remastered and fully orchestral for this collector’s edition, is amazing. There’s a huge amount of variety in both instruments and tone, and it’s not even creepy the entire time, which is an easy trap for a horror game to fall into. It’s also appropriate to the place you’re in; for example, when you find a violinist, the instruments change to strings for a while. You can grab the soundtrack by Carlos Viola on Bandcamp here, along with the soundtracks to the original episodes. 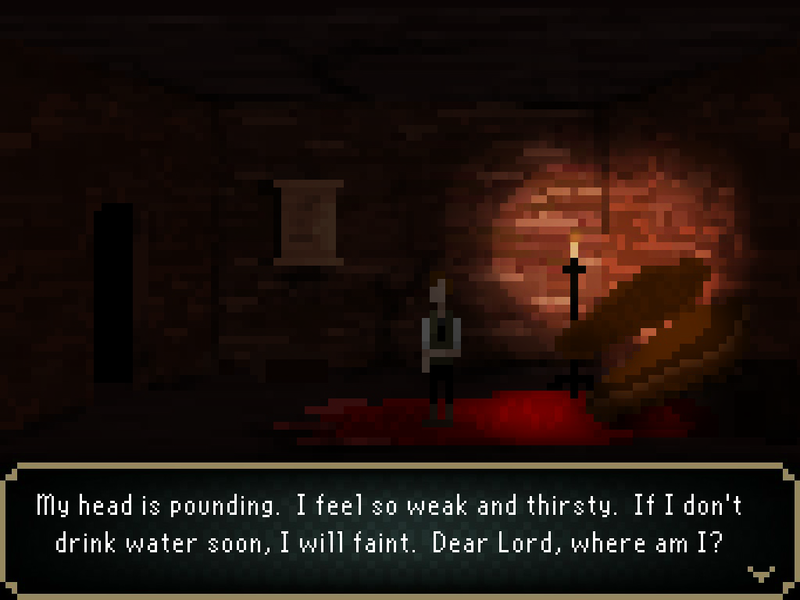 The sound effects are quite well done, enriching the creepy feeling of the game. There’s no voice acting in The Last Door, which I thought was effective because of the excellence of the sound design. 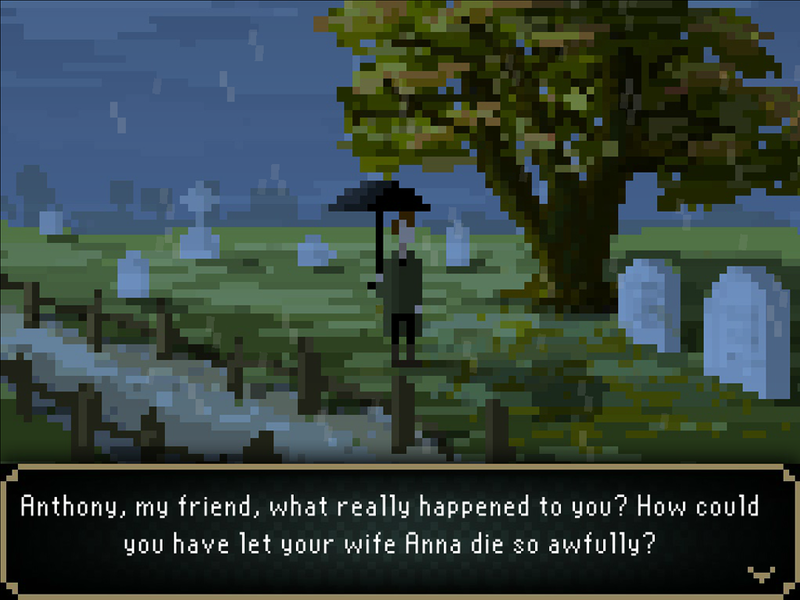 The Last Door is a very accessible point-and-click adventure. All inventory items disappear as soon as you’re done with them, and there’s little to no pixel hunting. There were only a few puzzles that I thought used adventure game logic; everything else was easily solvable without the use of a walkthrough. The game is quite linear, but not in a way that ever frustrated me. You can, for the most part, pick things up before Jeremiah needs to use them, which is the style I like better than waiting until the character knows they need the object. This results in a lot less backtracking, although it is necessary in the game because of the small spaces you have to work with. I do want to mention that there’s a really cool, audio-based puzzle that I enjoyed – you have to use clues from a poem to listen for the right sound cue in order to progress. It’s not something I’ve really seen in the genre before. Otherwise, puzzles are the standard inventory/object based ones that adventure game players will be used to. 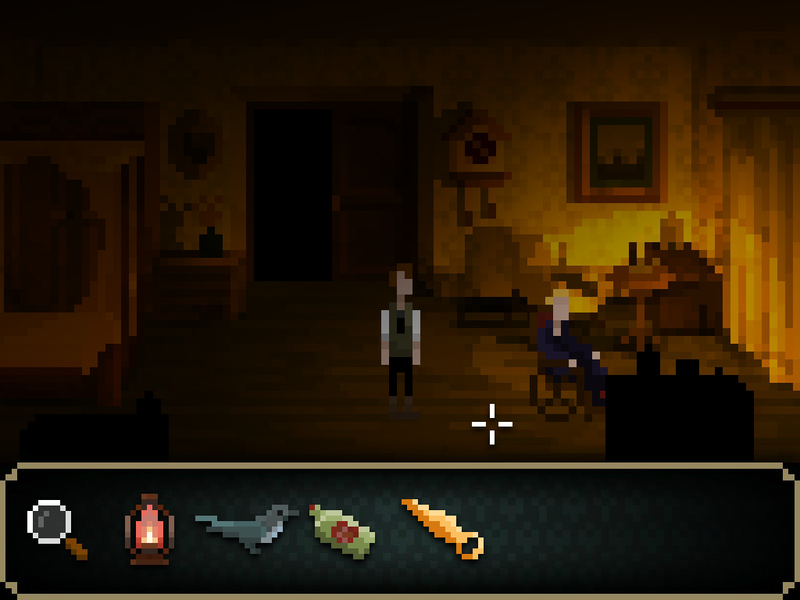 The Last Door is a wonderfully atmospheric, well-polished game that fans of either horror or point-and-click adventures will enjoy. Just don’t expect any real, concrete answers by the end of the game, and be prepared for a couple of illogical puzzles. Check out the official websites of The Last Door, The Game Kitchen, and Phoenix Online Studios. The game is available on Steam, GOG, and Phoenix Online’s website for $9.99. It will be released for additional platforms later this year. Like the game on Facebook and follow on Twitter. You can donate for the next chapter here.